Are you a budding freelance writer? Have you considered working from home as an option? Do you want to know where all the best jobs can be found? In the latest book in her series about working from home, Shelley Wenger discusses some of the advantages and pitfalls that you could face in your quest to find work as a freelance writer. Working from home has a range of great advantages for you and freelance writing offers endless opportunities for you to make a good living doing the thing you love the most. 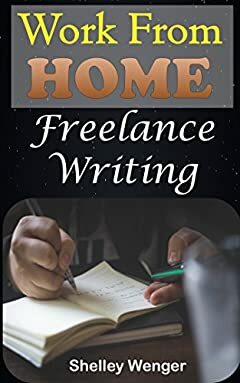 Get your copy of Work from Home: Freelance Writing today and see how you can start making a significant income from the comfort of your own home.